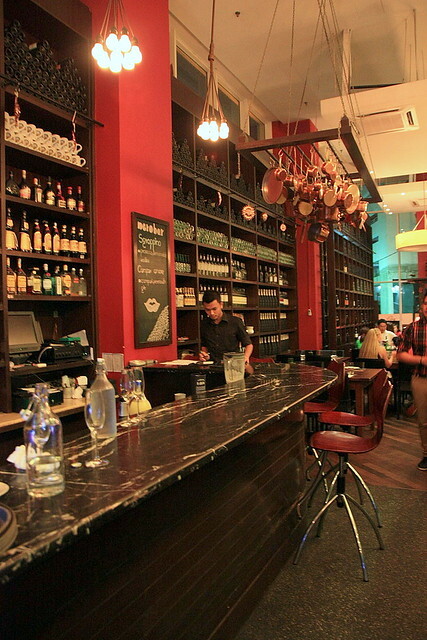 Neroteca @ The Somerset, Kuala Lumpur has been around for the longest time and requires little introduction. I’ve been there for dinner several times and have always been a happy camper. The restaurant may be relatively small but it is very welcoming. I love the hanging ham and copper pans over the deli counter and the long rows of wall-mounted wine racks behind the bar. The central downtown location is also a plus although that means it tends to get crowded during peak hours. Reservation is a must. 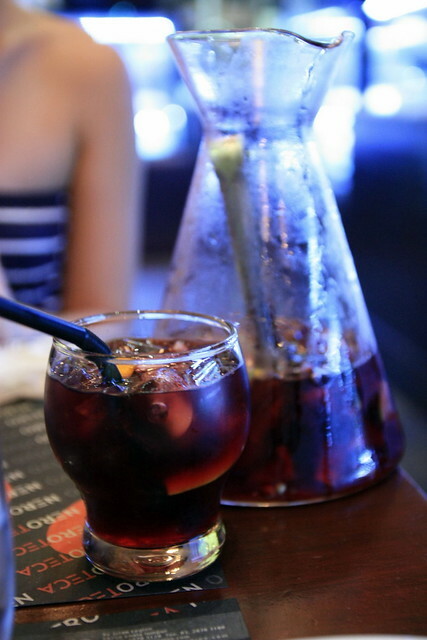 My other half treated us to a celebratory dinner at Neroteca recently; we thoroughly enjoyed ourselves. 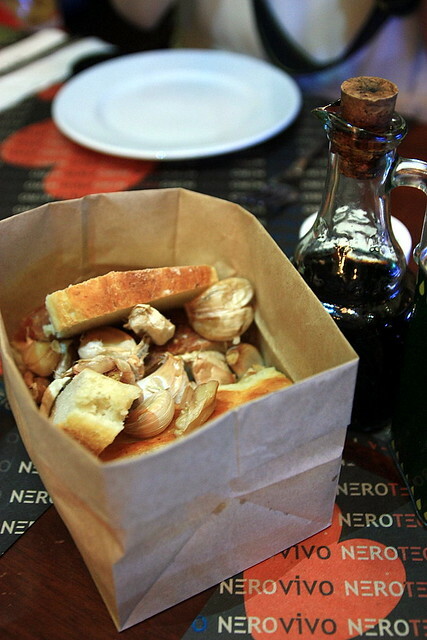 We had some fresh bread and dry-roasted garlic to start. The idea is to smear the garlic on the bread before dipping it into the balsamic and olive oil dressing. It was quite a taste sensation! 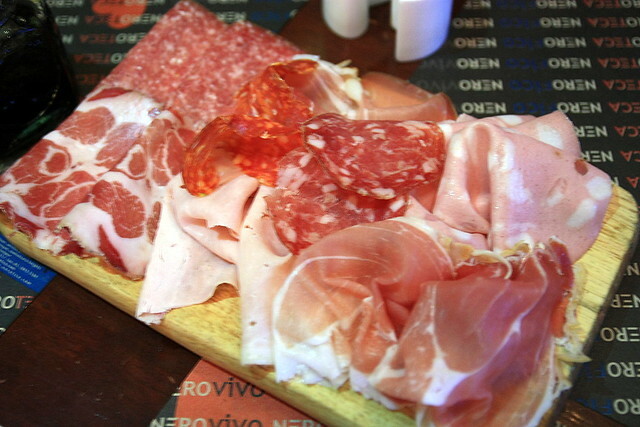 Neroteca takes pride in its cold cuts and hams, as evident in the good selection available and our serving of affettati misti (RM58), a platter of salami, prosciutto and honey ham. We ordered Neroteca’s roasted suckling pig (RM180, half portion), served with sides of stewed lentils and roasted potatoes. 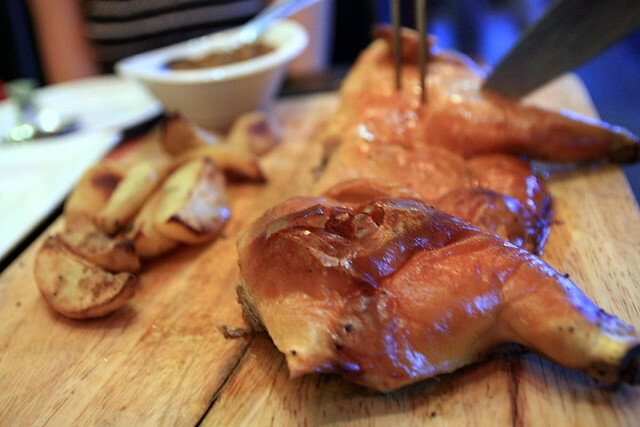 It was excellent, with exceptionally thin and crispy skin, and moist and tender meat bursting with sweet, sticky juices. It was only lightly seasoned, allowing us to enjoy the full porky flavours. 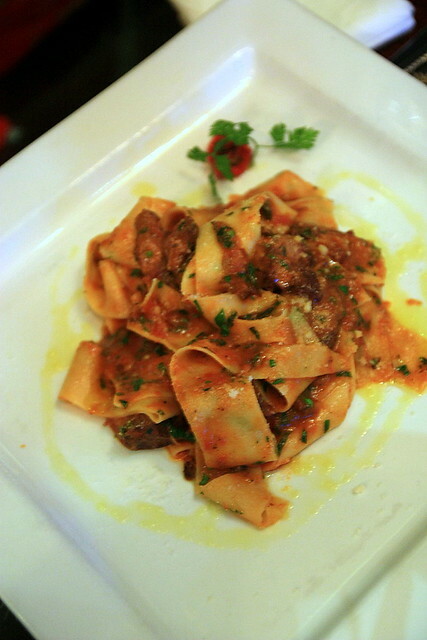 We tried the pappardelle braised wild boar chunk with chianti wine and fresh tomato sauce (RM36), which was nothing to shout about. The meat chunk had a pleasant wild flavor but it was too dry for our liking. 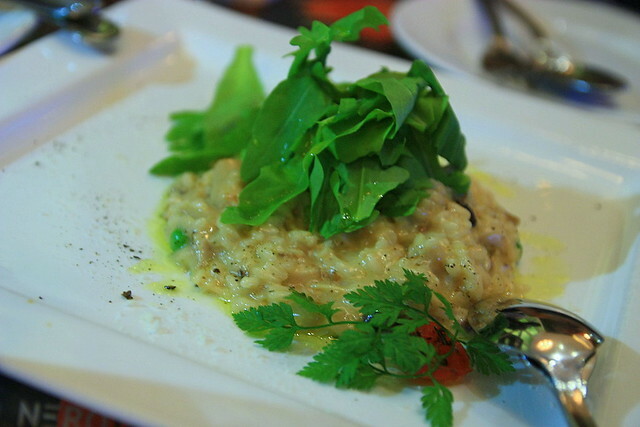 Neroteca’s risotto con funghi with mixed mushrooms and rucola green peas (RM32) has always been one of my all-time favourites. No visit there is quite complete with this rich, earthy, creamy and what I like to call the perfect mushroom lover’s risotto. 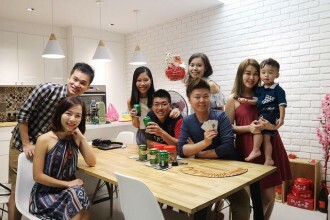 The total bill came up to about RM570 (with drinks) for the five of us – expensive but well-worth every penny. The service was spectacular; the waiters were really friendly and knowledgeable. 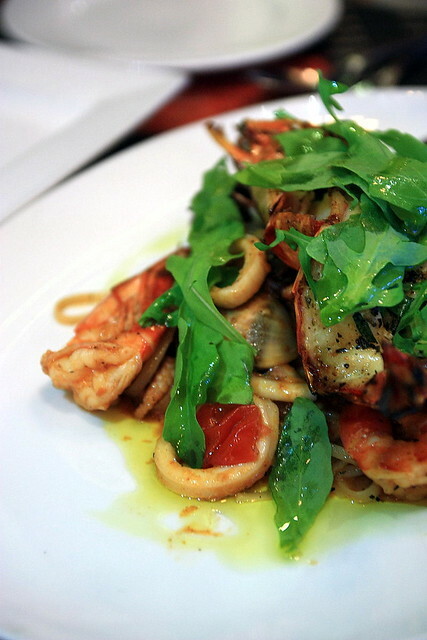 In my book, Neroteca definitely qualifies as the best non-halal Italian restaurant in Kuala Lumpur.